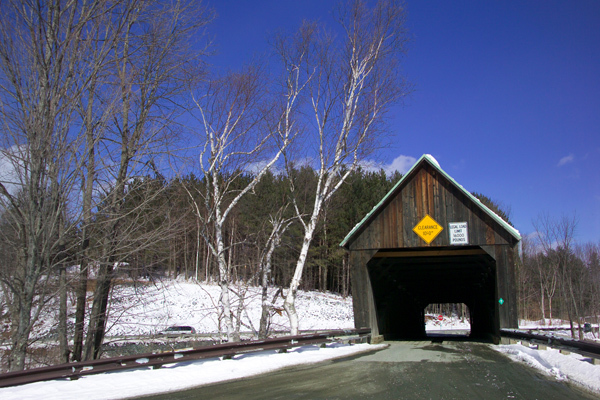 Photograph of Lincoln Covered Bridge spanning Ottauquechee River, adjacent to Route 4 near Woodstock, Vermont. Built in 1877, this 137 foot Tied arch design was completely restored in 1988. VIEW: More images from the category Lincoln Covered Bridge or taken at the same location or around the same time .